We personalise the bag with your chosen name. The name will appear in Upper and Lowercase print. Maximum character restriction of 12 characters. The football bag is only available in blue as shown on the website. 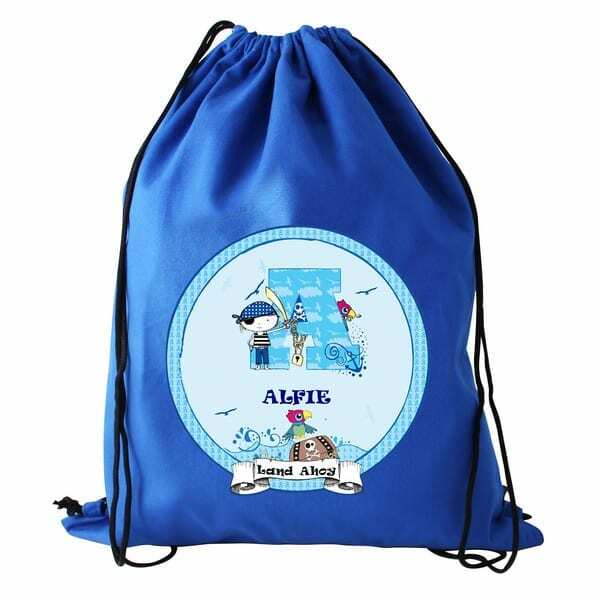 The bag is made from a heavy cotton and features waterproof lining and has a cord drawstring for hanging up and keep the contents secure. 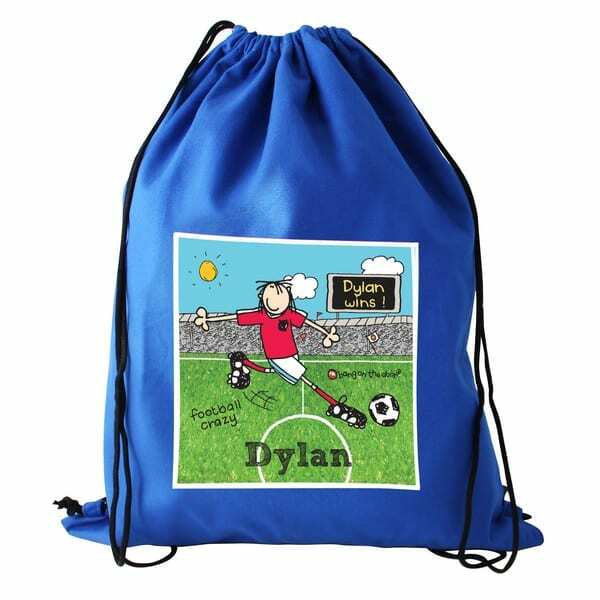 A named PE bags make a wonderful gift for someone starting school, or for Birthdays and Christmas.